This past week included one of those odd days that’s so busy I get a column’s worth of topics from a single day’s reading. And there was another strip (the Cow and Boy rerun) which I might have roped in had the rest of the week been dead. The Motley rerun might have made the cut too, for a reference to . Jason Chatfield’s Ginger Meggs for the 5th is a joke about resisting the story problem. I’m surprised by the particulars of this question. Turning an arithmetic problem into counts of some number of particular things is common enough and has a respectable history. But slices of broccoli quiche? I’m distracted by the choice, and I like quiche. It’s a weird thing for a kid to have, and a weird amount for anybody to have. Jason Chatfield’s Ginger Meggs for the 5th of November, 2018. I’m of the age cohort to remember Real Men Don’t Eat Quiche being a book people had for some reason. Also not understanding why “real men” would not eat quiche. If you named the same dish “Cheddar Bacon Pie” you’d have men lined up for a quarter-mile to get it. Anyway, it took me too long to work out but I think the teacher’s name is Mr Crackett? Cast lists, cartoonists. We need cast lists on your comic’s About pages. JC Duffy’s Lug Nuts for the 5th uses mathematics as a shorthand for intelligence. And it particularly uses π as shorthand for mathematics. There’s a lot of compressed concepts put into this. I shouldn’t be surprised if it’s rerun come mid-March. JC Duffy’s Lug Nuts for the 5th of November, 2018. OK, some of these strips I don’t need a cast list for. Tom Toles’s Randolph Itch, 2 am for the 5th I’ve highlighted before. 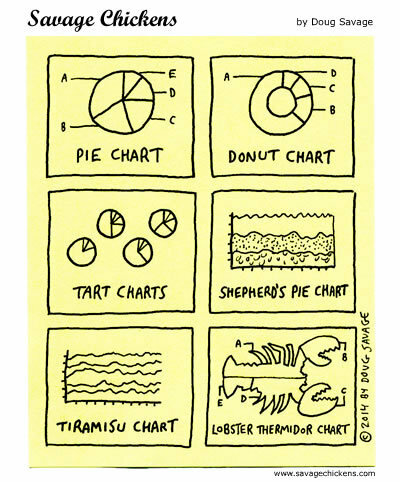 It’s the pie chart joke. It will never stop amusing me, but I suppose I should take Randolph Itch, 2 am out of my rotation of comics I read to include here. Tom Toles’s Randolph Itch, 2 am for the 5th of November, 2018. I never get to presentations like this. It’s always someone explaining the new phone system. Zach Weinersmith’s Saturday Morning Breakfast Cereal for the 5th is a logic puzzle joke. And a set theory joke. Dad is trying to argue he can’t be surprised by his gift because it’ll belong to one of two sets of things. And he receives nothing. This ought to defy his expectations, if we think of “nothing” as being “the empty set”. The empty set is an indispensable part of set theory. It’s a set that has no elements, has nothing in it. Then suppose we talk about what it means for one set to be contained in another. Take what seems like an uncontroversial definition: set A is contained in set B if there’s nothing in A which is not also in B. Then the empty set is contained inside every set. So Dad, having supposed that he can’t be surprised, since he’d receive either something that is “socks” or something that is “not-socks”, does get surprised. He gets the one thing that is both “socks” and “not-socks” simultaneously. Zach Weinersmith’s Saturday Morning Breakfast Cereal for the 5th of November, 2018. I may have mentioned. So my partner in Modern Physics Lab one time figured to organize his dorm room by sorting everything in it into two piles, “pair of socks” and “not a pair of socks”. I asked him how he’d classify two socks that, while mismatched, were bundled together. He informed me that he hated me. I hate to pull this move a third time in one week (see here and here), but the logic of the joke doesn’t work for me. I’ll go along with “nothing” as being “the empty set” for these purposes. And I’ll accept that “nothing” is definitely “not-socks”. But to say that “nothing” is also “socks” is … weird, unless you are putting it in the language of set theory. I think the joke would be saved if it were more clearly established that Dad should be expecting some definite thing, so that no-thing would defy all expectations. “Nothing” is a difficult subject to treat logically. I have been exposed a bit to the thinking of professional philosophers on the subject. Not enough that I feel I could say something non-stupid about the subject. But enough to say that yeah, they’re right, we have a really hard time describing “nothing”. The null set is better behaved. I suppose that’s because logicians have been able to tame it and give it some clearly defined properties. Mike Shiell’s The Wandering Melon for the 5th of November, 2018. I am curious whether this is meant to be the same lottery winner who in August got struck by lightning. It would make the torn, singed check make more direct sense. But what are the odds someone wins the lottery, gets hit by lightning, and then eaten by a crocodile? … Ah well, at least nothing worse is going to happen to him. Mike Shiell’s The Wandering Melon for the 5th felt like a rerun to me. It wasn’t. But Shiell did do a variation on this joke in August. Both are built on the same whimsy of probability. It’s unlikely one will win a lottery. It’s unlikely one will die in a particular and bizarre way. What are the odds someone would have both things happen to them? This and every Reading the Comics post should be at this link. Essays that include Ginger Meggs are at this link. Essays in which I discuss Lug Nuts are at this link. Essays mentioning Randolph Itch, 2 am, should be at this link. The many essays with a mention of Saturday Morning Breakfast Cereal are at this link. And essays where I’m inspired by something in The Wandering Melon should be at this link. And, what the heck, when I really discuss Cow and Boy it’s at this link. Real discussions of Motley are at this link. And my Fall 2018 Mathematics A-To-Z averages two new posts a week, now and through December. Thanks again for reading. The End 2016 Mathematics A To Z: Normal Numbers which is relevant because π is probably a normal number. We don’t know, but it would be really weird if it weren’t. Normal numbers are weird, but most numbers are normal. Calculating Pi Terribly was my first, big, and basically sour essay about π. It describes the Buffon needle drop experiment, which is a real experiment you could do with actual physical objects if you wanted to eventually, someday, calculate the digits of π. You should use basically any other approach before this if you actually need to know them. Calculating Pi Less Terribly is a follow-up, about finding the digits of π using way less work. It gets into alternating series, which are mathematically interesting enough and very useful. Calculating Pi Terribly is about a probability-based way to calculate just what π’s digits are. It’s a lousy way to do it, but it works, technically. Calculating Pi Less Terribly is about an analysis-based way to calculate just what π’s digits are. 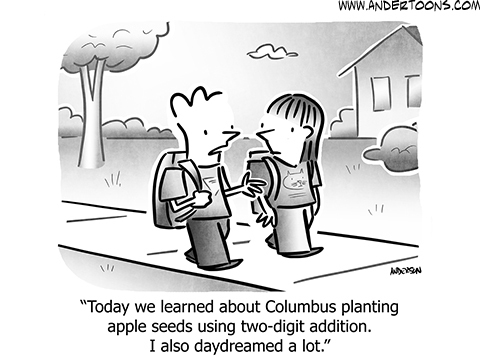 It’s a less bad way to do it, although we actually use better-yet ways to work out the digits of a number like this. And what the heck, Normal Numbers , from an A To Z sequence. We do not actually know that π is a normal number. It’s the way I would bet, though, and here’s something about why I’d bet that way. That’s a relief. 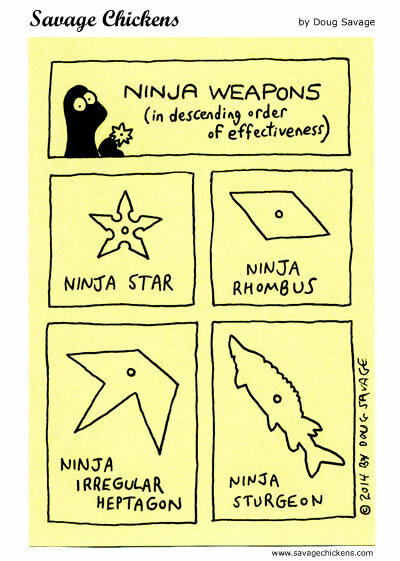 After the previous week’s suspicious silence Comic Strip Master Command sent a healthy number of mathematically-themed comics my way. They cover a pretty normal spread of topics. So this makes for a nice normal sort of roundup. Mac King and Bill King’s Magic In A Minute for the 4th is an arithmetic-magic-trick. Like most arithmetic-magic it depends on some true but, to me, dull bit of mathematics. In this case, that 81,234,567 minus 12,345,678 is equal to something. As a kid this sort of trick never impressed me because, well, anyone can do subtraction. I didn’t appreciate that the fun of stage magic in presenting well the mundane. Jerry Scott and Jim Borgman’s Zits for the 5th is an ordinary mathematics-is-hard joke. But it’s elevated by the artwork, which shows off the expressive and slightly surreal style that makes the comic so reliable and popular. The formulas look fair enough, the sorts of things someone might’ve been cramming before class. If they’re a bit jumbled up, well, Pierce hasn’t been well. Jerry Scott and Jim Borgman’s Zits for the 5th of September, 2016. It sure looks to me like there’s more things being explicitly multiplied by ‘1’ than are needed, but it might be the formulas got a little scrambled as Pierce vomited. We’ve all been there. Fun fact: apart from a bit in Calculus I where they drill you on differentiation formulas you never really need the secant. It makes a couple formulas a little more compact and that’s it, so if it’s been nagging at your mind go ahead and forget it. Jeffrey Caulfield and Alexandre Rouillard’s Mustard and Boloney for the 6th is an anthropomorphic-shapes joke and I feel like it’s been here before. Ah, yeah, there it is, from about this time last year. It’s a fair one to rerun. Mustard and Boloney popped back in on the 8th with a strip I don’t have in my archive at least. It’s your standard Pi Pun, though. If they’re smart they’ll rerun it in March. I like the coloring; it’s at least a pleasant panel to look at. Percy Crosby’s Skippy from the 9th of July, 1929 was rerun the 6th of September. It seems like a simple kid-saying-silly-stuff strip: what is the difference between the phone numbers Clinton 2651 and Clinton 2741 when they add to the same number? (And if Central knows what the number is why do they waste Skippy’s time correcting him? And why, 87 years later, does the phone yell at me for not guessing correctly whether I need the area code for a local number and whether I need to dial 1 before that?) But then who cares what the digits in a telephone number add to? What could that tell us about anything? As phone numbers historically developed, the sum can’t tell us anything at all. But if we had designed telephone numbers correctly we could have made it … not impossible to dial a wrong number, but at least made it harder. This insight comes to us from information theory, which, to be fair, we have because telephone companies spent decades trying to work out solutions to problems like people dialing numbers wrong or signals getting garbled in the transmission. We can allow for error detection by schemes as simple as passing along, besides the numbers, the sum of the numbers. This can allow for the detection of a single error: had Skippy called for number 2641 instead of 2741 the problem would be known. But it’s helpless against two errors, calling for 2541 instead of 2741. But we could detect a second error by calculating some second term based on the number we wanted, and sending that along too. By adding some more information, other modified sums of the digits we want, we can even start correcting errors. We understand the logic of this intuitively. When we repeat a message twice after sending it, we are trusting that even if one copy of the message is garbled the recipient will take the version received twice as more likely what’s meant. We can design subtler schemes, ones that don’t require we repeat the number three times over. But that should convince you that we can do it. The tradeoff is obvious. We have to say more digits of the number we want. It isn’t hard to reach the point we’re ending more error-detecting and error-correcting numbers than we are numbers we want. And what if we make a mistake in the error-correcting numbers? (If we used a smart enough scheme, we can work out the error was in the error-correcting number, and relax.) If it’s important that we get the message through, we shrug and accept this. If there’s no real harm done in getting the message wrong — if we can shrug off the problem of accidentally getting the wrong phone number — then we don’t worry about making a mistake. And at this point we’re only a few days into the week. I have enough hundreds of words on the close of the week I’ll put off posting that a couple of days. It’s quite good having the comics back to normal. As I said Sunday, there were more mathematics-mentioning comic strips than I expected last week. So do please read this little one and consider it an extra. The best stuff to talk about is from Ripley’s Believe It Or Not, which may or may not count as a comic strip. Depends how you view these things. 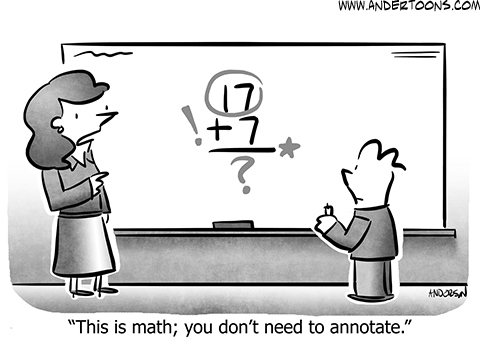 Randy Glasbergen’s Glasbergen Cartoons for the 29th just uses arithmetic as the sort of problem it’s easiest to hide in bed from. We’ve all been there. And the problem doesn’t really enter into the joke at all. It’s just easy to draw. John Graziano’s Ripley’s Believe It Or Not on the 29th shows off a bit of real trivia: that 599 is the smallest number whose digits add up to 23. And yet it doesn’t say what the largest number is. That’s actually fair enough. There isn’t one. If you had a largest number whose digits add up to 23, you could get a bigger one by multiplying it by ten: 5990, for example. Or otherwise add a zero somewhere in the digits: 5099; or 50,909; or 50,909,000. If we ignore zeroes, though, there are finitely many different ways to write a number with digits that add up to 23. This is almost an example of a partition problem. Partitions are about how to break up a set of things into groups of one or more. But in a partition proper we don’t really care about the order: 5-9-9 is as good as 9-9-5. But we can see some minor differences between 599 and 995 as numbers. I imagine there must be a name for the sort of partition problem in which order matters, but I don’t know what it is. I’ll take nominations if someone’s heard of one. Graziano’s Ripley’s sneaks back in here the next day, too, with a trivia almost as baffling as the proper credit for the strip. I don’t know what Graziano is getting at with the claim that Ancient Greeks didn’t consider “one” to be a number. None of the commenters have an idea either and my exhaustive minutes of researching haven’t worked it out. But I wouldn’t blame the Ancient Greeks for finding something strange about 1. We find something strange about it too. Most notably, of all the counting numbers 1 falls outside the classifications of “prime” and “composite”. It fits into its own special category, “unity”. It divides into every whole number evenly; only it and zero do that, if you don’t consider zero to be a whole number. It’s the multiplicative identity, and it’s the numerator in the set of unit fractions — one-half and one-third and one-tenth and all that — the first fractions that people understand. There’s good reasons to find something exceptional about 1.
dro-mo for the 30th somehow missed both Pi Day and Tau Day. I imagine it’s a rerun that the artist wasn’t watching too closely. Aaron McGruder’s The Boondocks rerun for the 2nd concludes that storyline I mentioned on Sunday about Riley not seeing the point of learning subtraction. It’s always the motivation problem. We’ve got into that stretch of the year when (United States) schools are out of session. 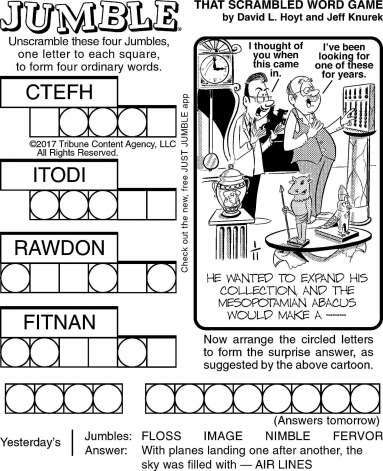 Comic Strip Master Command seems to have thus ordered everyone to clean out their mathematics gags, even if they didn’t have any particularly strong ones. There were enough the past week I’m breaking this collection into two segments, though. And the first segment, I admit, is mostly the same joke repeated. Russell Myers’s Broom Hilda for the 27th is the type case for my “Math Is Just This Hard Stuff, Right?” name here. In fairness to Broom Hilda, mathematics is a lot harder now than it was 1,500 years ago. It’s fair not being able to keep up. There was a time that finding roots of third-degree polynomials was the stuff of experts. Today it’s within the powers of any Boring Algebra student, although she’ll have to look up the formula for it. John McPherson’s Close To Home for the 27th is a bunch of trigonometry-cheat tattoos. I’m sure some folks have gotten mathematics tattoos that include … probably not these formulas. They’re not beautiful enough. Maybe some diagrams of triangles and the like, though. The proof of the Pythagoran Theorem in Euclid’s Elements, for example, includes this intricate figure I would expect captures imaginations and could be appreciated as a beautiful drawing. 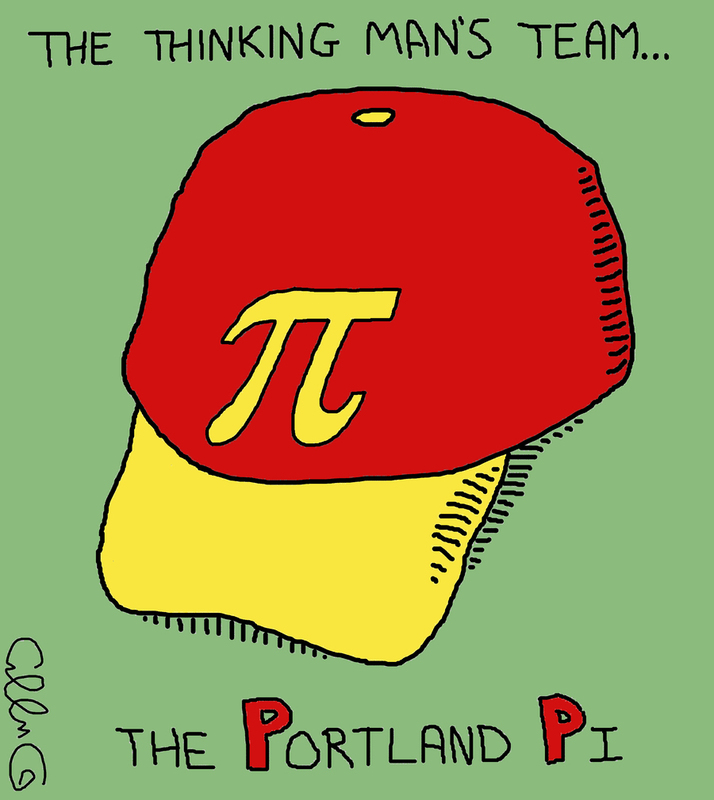 Missy Meyer’s Holiday Doodles observed that the 28th was “Tau Day”, which takes everything I find dubious about “Pi Day” and matches it to the silly idea that we would somehow make life better by replacing π with a symbol for 2π. Hilary Price’s Rhymes With Orange for the 29th of June, 2016. I like the Number-two-pencil fence. Hilary Price’s Rhymes With Orange for the 29th uses mathematics as the way to sort out nerds. I can’t say that’s necessarily wrong. It’s interesting to me that geometry and algebra communicate “nerdy” in a shorthand way that, say, an obsession with poetry or history or other interests wouldn’t. It wouldn’t fit the needs of this particular strip, but I imagine that a well-diagrammed sentence would be as good as a page full of equations for expressing nerdiness. The title card’s promise of doing quadratic equations would have worked on me as a kid, but I thought they sounded neat and exotic and something to discover because they sounded hard. When I took Boring High School Algebra that charm wore off. Aaron McGruder’s The Boondocks rerun for the 29th starts a sequence of Riley doubting the use of parts of mathematics. The parts about making numbers smaller. It’s a better-than-normal treatment of the problem of getting a student motivated. The strip originally ran the 18th of April, 2001, and the story continued the several days after that. Bill Whitehead’s Free Range for the 29th uses Boring Algebra as an example of the stuff kinds have to do for homework. I’m as startled as you are. While a couple comic strips mentioned United States Income Tax Day, they didn’t do so in a way that seemed on-point enough for this Reading The Comics post. Of course, United States Income Tax Day happens to be the 18th this year. I haven’t seen Sunday’s comics yet. David L Hoyt and Jeff Knurek’s Jumble for the 11th of April one again uses arithmetic puns for its business. Also, if some science fiction writer doesn’t take hold of “Gribth” as a name for something they’re missing a fine syllable. “Tahew” is no slouch in the made-up word leagues either. David L Hoyt and Jeff Knurek’s Jumble for the 11th of April, 2016. The link will probably expire sometime before the year 2112. Ryan North’s Dinosaur Comics for the 12th of April obviously originally ran sometime in mid-March. 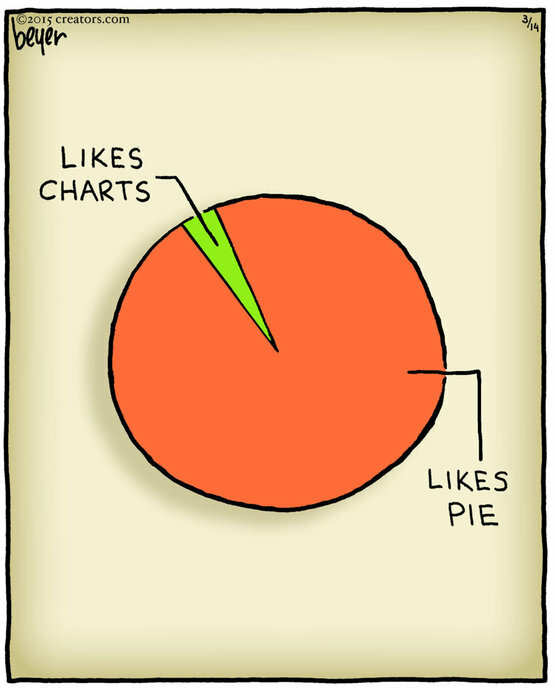 I have similarly ambiguous feelings about the value of Pi Day. I suppose it’s nice for people to think of “fun” and “mathematics” close together. Utahraptor’s distinction between “Pi Day” of March 14 and “Approximate Pi Day” of the 22nd of July s a curious one, though. It’s not as though 3.14 is any more exactly π than 22/7 is. I suppose you can argue that at some moment on 3/14 between 1:59:26 and 1:59:27 there’s some moment, 1:59:26.5358979 et cetera going on forever. But that assumes that time is a continuous thing, and it’s not like you’ll ever know what that moment is. By the time you might recognize it, it’s passed. They are all Approximate Pi Days; we just have to decide what the approximation is. 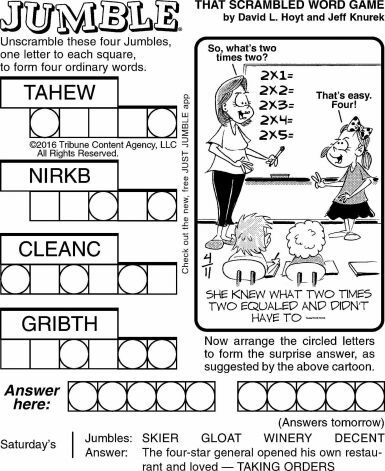 Bill Schorr’s The Grizzwells for the 12th is a silly-homework problem question. I know the point is to joke about how Fauna misunderstands a word. But if we pretend the assignment is for real, what might its point be? To show that students know the parts of a right triangle? I guess that’s all right, but it doesn’t seem like much of an assignment. I don’t blame her for getting snarky in the face of that. Rick Kirkman and Jerry Scott’s Baby Blues for the 13th is a gag about picking random numbers for arithmetic homework. The approach is doomed, surely, although it’s probably not completely doomed. I’m not sure Hammie’s age, but if his homework is about adding and subtracting numbers he probably mostly gets problems that give results between zero and twenty, and almost always less than a hundred. He might hit some by luck. Rick Kirkman and Jerry Scott’s Baby Blues for the 13th of April, 2016. It’s only after Hammy walks away that Zoe wonders why he needs five random numbers? I’ve mentioned some how people are awful at picking “random” numbers in their heads. Zoe shows off one of the ways people are bad at it. People asked to name numbers “randomly” pick odd numbers more than even numbers. Somehow they just feel random. I doubt Kirkman and Scott were thinking of that; among other things, five numbers is a very small sample. Four odds out of five isn’t peculiar, not yet. They were probably just trying to pick numbers that sounded funny while fitting the space available. I’m a bit surprised 37 didn’t make the list. Mark Anderson’s Andertoons for the 13th is Mark Anderson’s Andertoons entry for this essay. I like the teacher’s answer, though. Patrick Roberts’s Todd the Dinosaur for the 14th just uses arithmetic as the most economic way to fit several problems on-screen at once. They’ve got a compactness that sentence-diagramming just can’t match. Patrick Roberts’s Todd the Dinosaur for the 14th of April, 2016. No fair wondering why his more distant eye is always the larger one. Greg Cravens’s The Buckets for the 15th amuses me with its use of coin-tossing as a way of making choices. I’m also amused the coin might be wrong only about half the time. At the risk of disappointing, this appears to me gibberish. The appearance of words like ‘minPixels’ and ‘maxPixels’ suggest a bit of computer code. So does having a subscript that’s the full word “connected”. I wonder where Deering drew this example from.